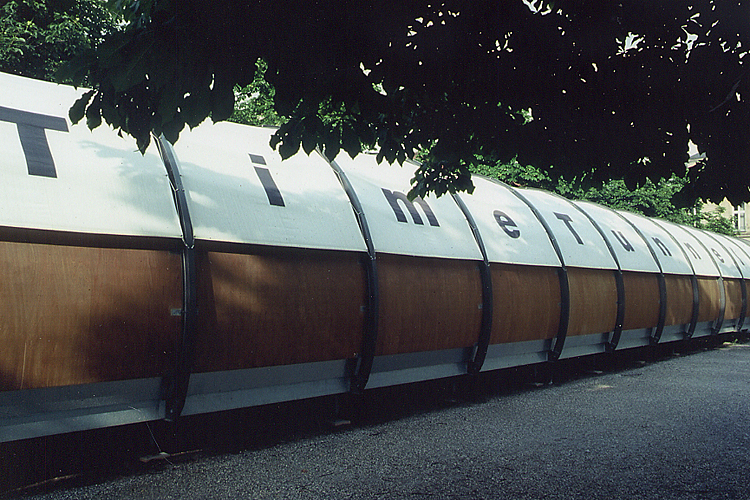 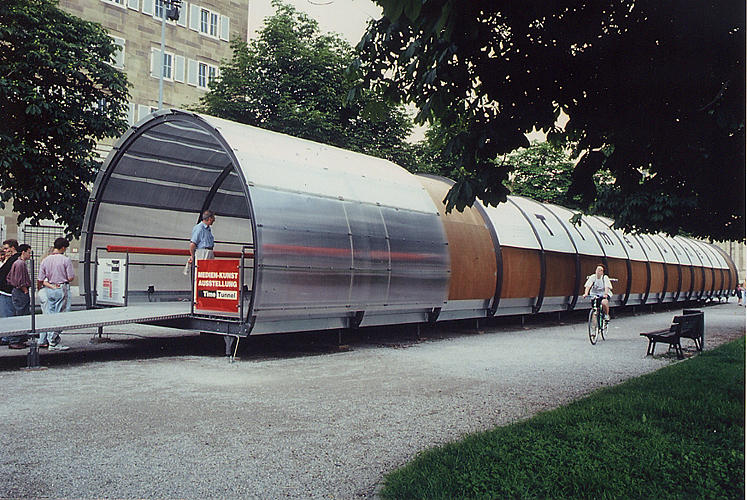 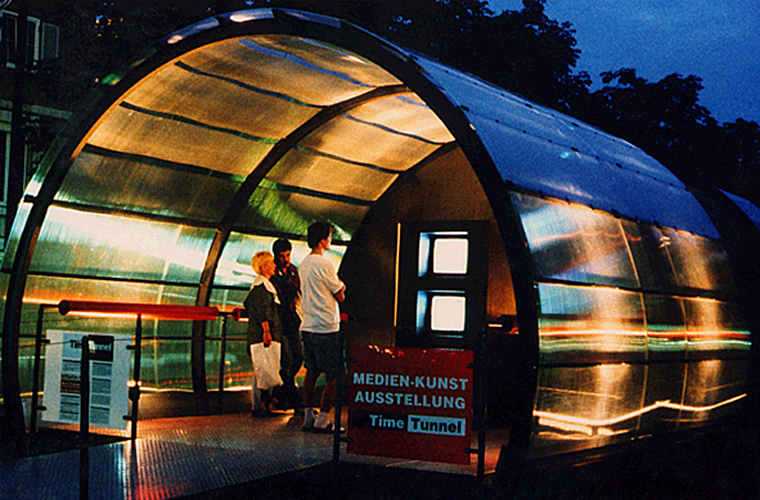 TimeTunnel is a mobile, passable exhibition sculpture which is conceived for public space. 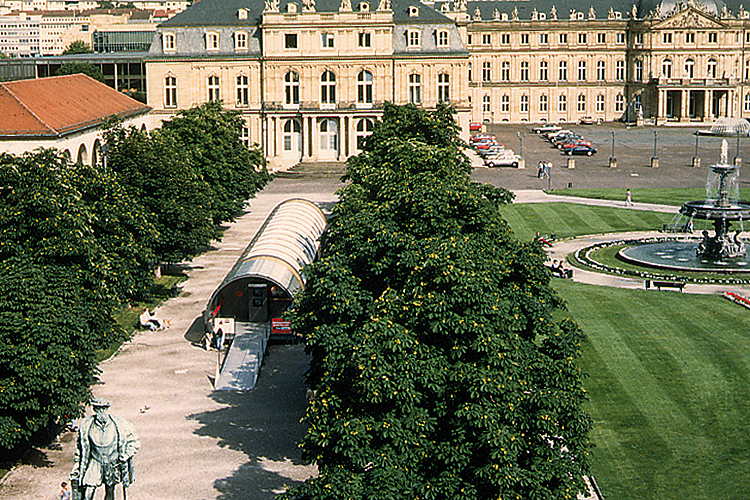 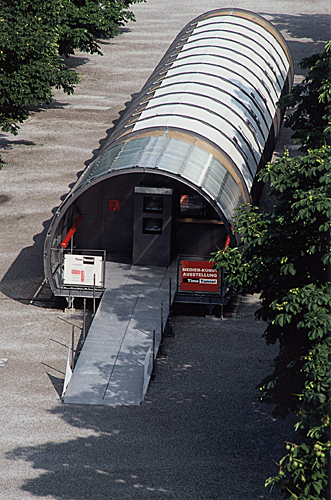 Architecture, photographie, film and music join to a picture and sound space, a « Gesamtkunstwerk ». 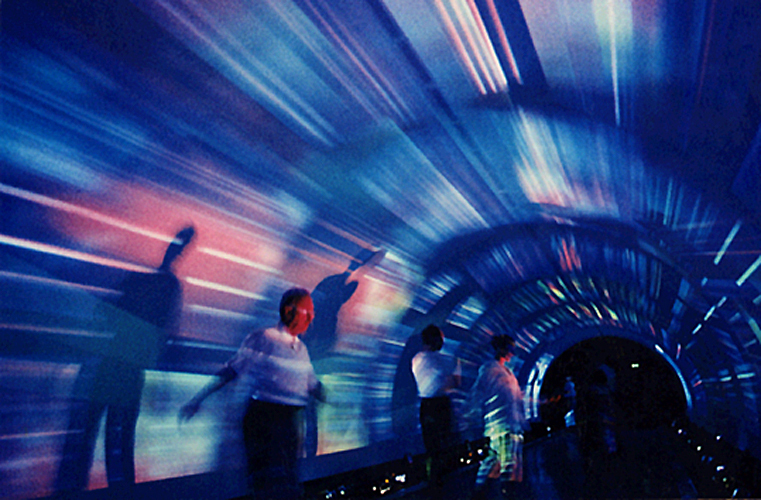 TimeTunnel focus on perception and definition of the phenomenon time and tries to sketch a new notion of time answering to the constant change of new technologies. 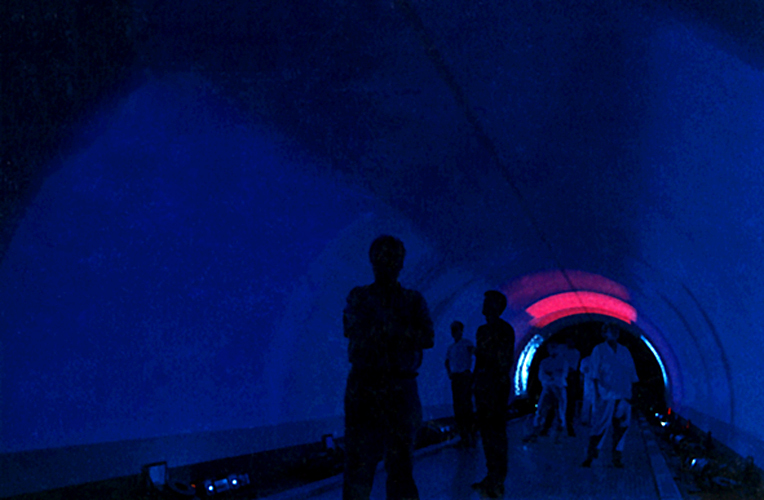 It is like a transit on a still directed time line which seems to disappear. 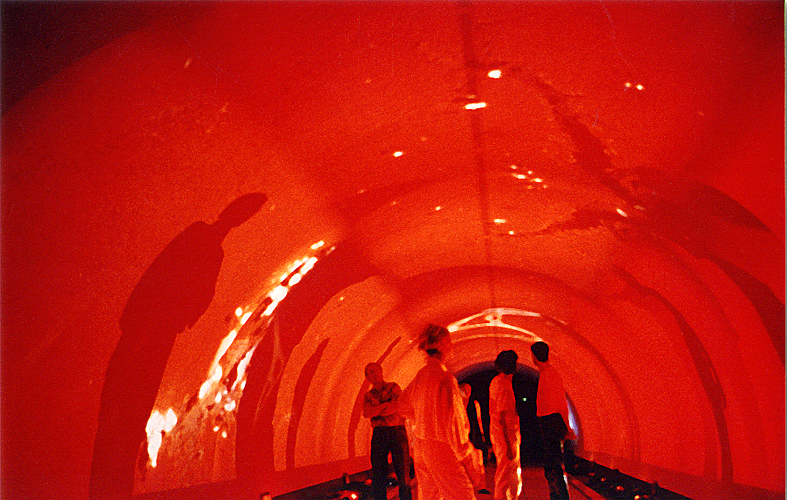 The tunnel experience reports to human experiences like birth and death, beginning and end of our existence, but also symbolizes a kind of passage between past and future. 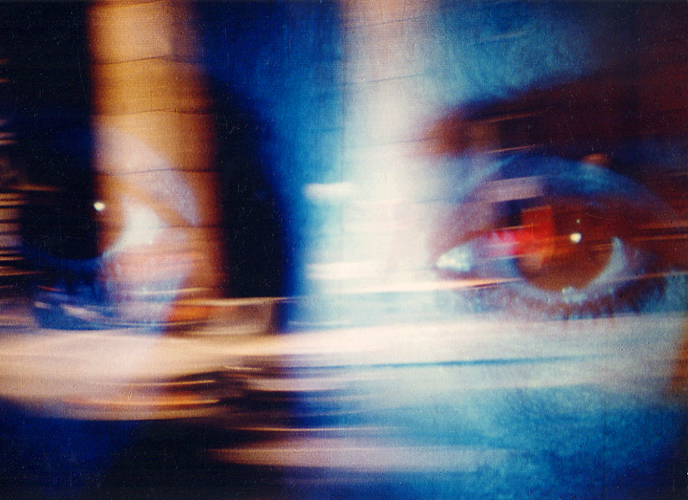 The definition of time is based on three parameters: light – space – movement. 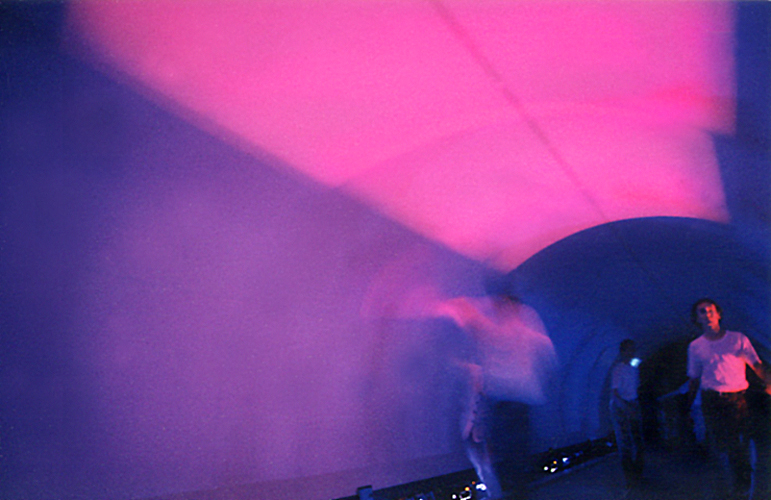 This definition finds itself in the TimeTunnel : the space is represented about the architectural form, the light about the light-sculpture inside and the movement by the visitors who wears through the tunnel. 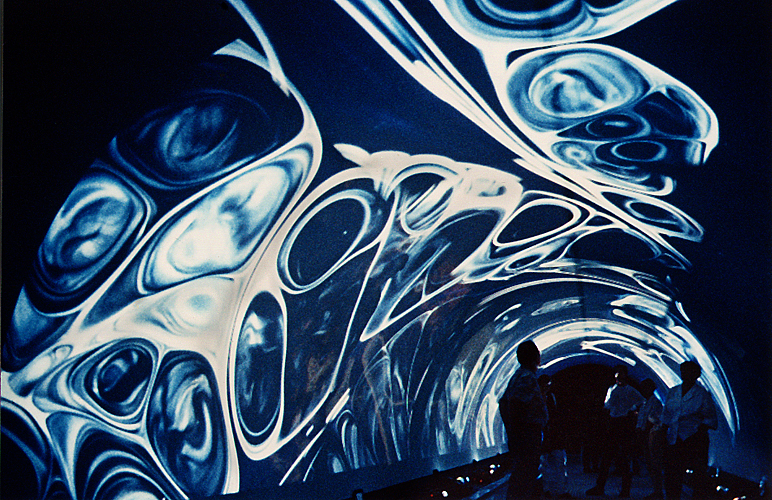 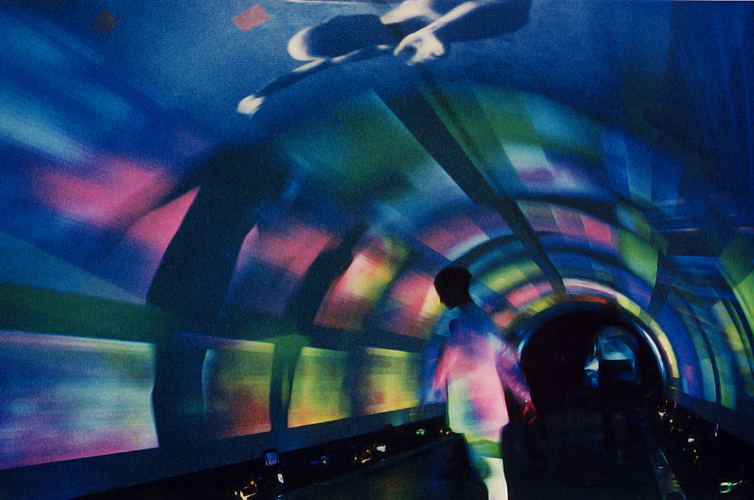 The pictures projected on the insides of the tunnel translate this concept in the programming and in the contents of the pictures, and the cycle light-space- movement repeats itself endlessly. 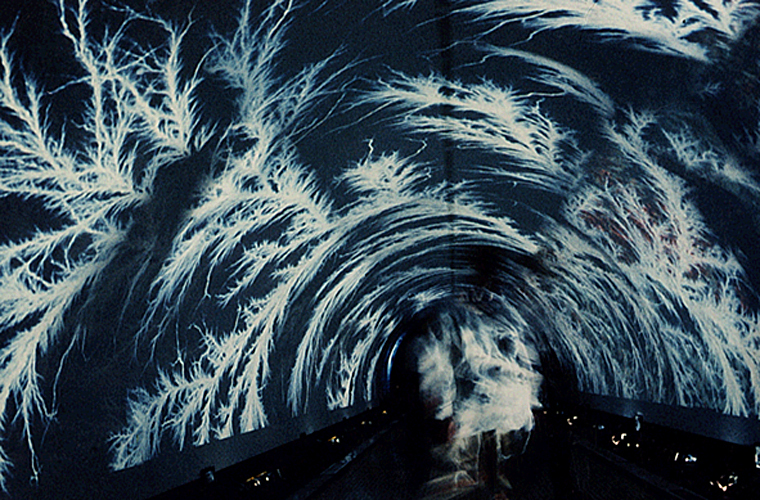 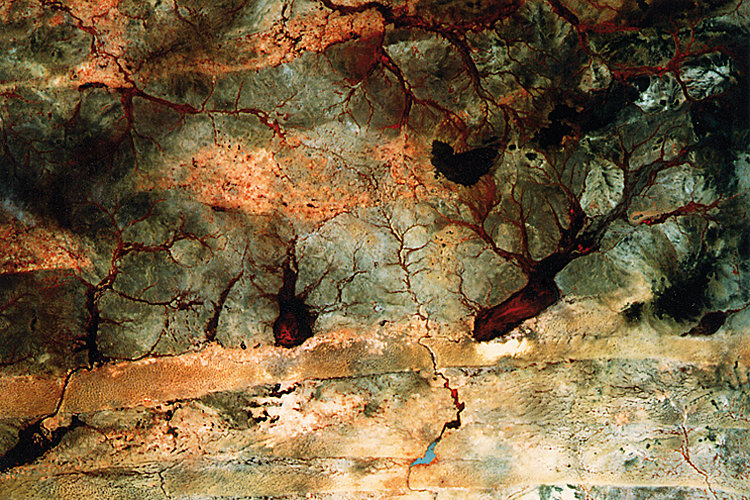 The spectator can immerse at any time, arbitrarily long, into this cycle and becomes with it at the same moment a participant: on the one hand he can move in this picture space for experience and to a general view of the fragments – on the other hand, he is only by his physical presence active part – with his shadow he can make deep-succumbing picture shifts visible. 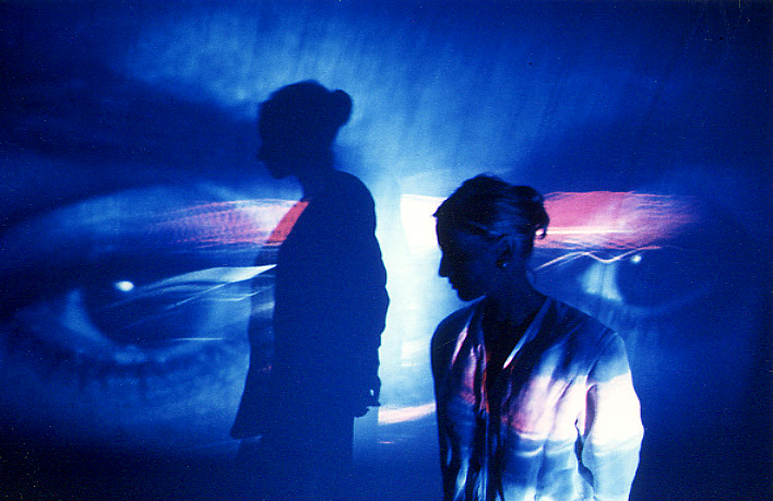 This connection of physical presence and light / shade reports to earlier, astrale methods to make time visible. 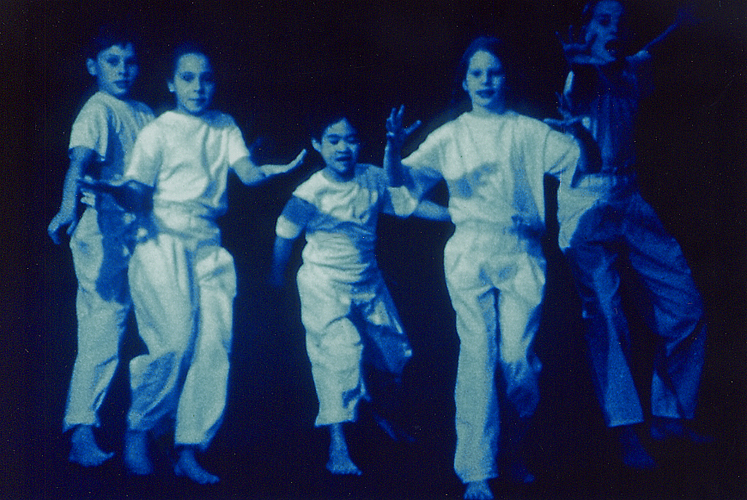 Sound and picture sequences are not synchronized, but become established after principe of coincidence. 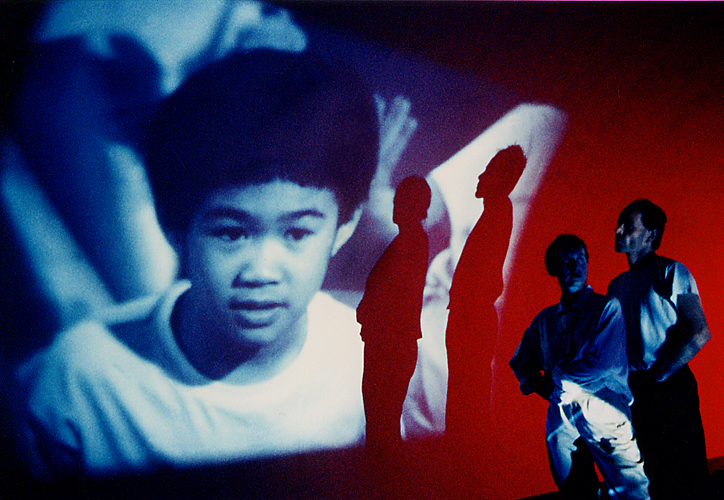 The music is based exclusively on language and answers with their composition to the choreography of the pictures.